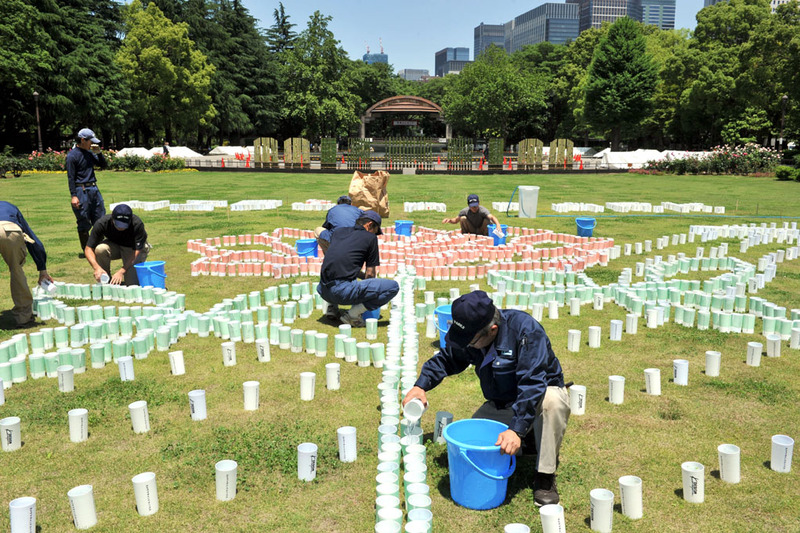 Hibiya Park in central Tokyo, the scene of numerous historic events in both the pre- and postwar periods, is marking its 110th anniversary Saturday, with various commemorative celebrations planned for this weekend. 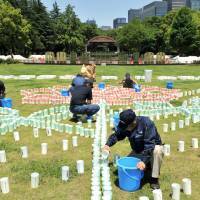 Planned events for Saturday and Sunday include “Hibiya Akari Terrace,” in which 11,000 lighted candles placed on the ground will depict shapes of roses and letters. Other events include concerts, food fairs, lectures and guided tours of the park, which serves as a 161,636-sq.-meter oasis in Chiyoda Ward. Hibiya Park opened to the public on June 1, 1903, as the nation’s first modern, Western-style park. It was designed by landscape gardener Seiroku Honda, who had studied forestry in Germany. Honda, described as “Japan’s father of parks,” designed or upgraded numerous parks around the country, including Harutori Park in Kushiro, Hokkaido, and Ohori Park in Fukuoka. Hibiya Park holds a unique place in modern Japanese history as it is connected with a number of momentous events, including rallies and protests in 1960 over the signing the current Japan-U.S. security treaty. More recent examples include antinuclear protests after the start of the Fukushima nuclear crisis triggered by the March 11, 2011, earthquake and tsunami. The park also hosts some unique cultural buildings. Matsumotoro, which serves Western-style dishes, opened inside the park in 1903, Hibiya Public Hall, built in 1924, is now designated as historically significant architecture in the capital, while the Tokyo Municipal Hibiya Library, predecessor of the present Chiyoda City Hibiya Library and Museum, was established in 1908.